PAT MAIO / EDSOURCE TODAY Pascale Gibbs, a 9-year-old 4th-grader at Bryant School of the Arts & Innovation in Riverside, practices one of her computer science assignments. Gov. Jerry Brown on Tuesday signed into law a bill that begins a three-year planning process to expand computer science education for all grades in California’s public schools, beginning in kindergarten. 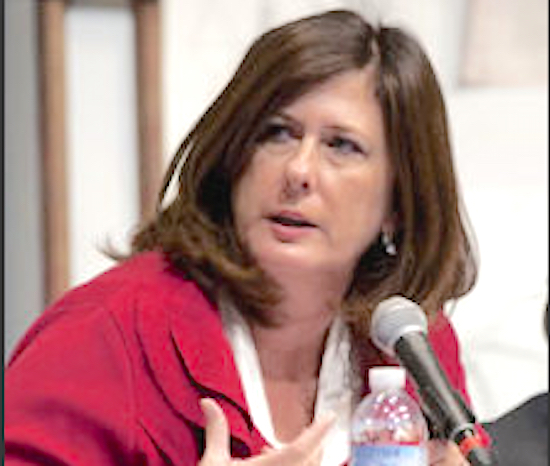 Authored by Assemblymember Susan Bonilla, D-Concord, the bill, Assembly Bill 2329, requires State Superintendent of Public Instruction Tom Torlakson to create by September 2017 a 23-person advisory panel to be charged with developing a long-term plan to make computer science education a top priority in the state. Based on findings from the panel, the state’s Instructional Quality Commission would decide by July 2019 whether to develop and recommend to the State Board of Education computer science content standards for kindergarten through 12th grade. The Instructional Quality Commission advises the State Board on curriculum and instruction. The law recognizes that information technology is one of the fastest-growing job sectors across California, and the state needs to step up efforts to satisfy the growing job demands. “California currently has tens of thousands of open computing jobs where salaries are significantly higher than the state average, but our education system is not aligned to meet this workforce need and economic opportunity,” said Lt. Gov. Gavin Newsom, who played a key role in bringing the computer science proposal before political, business and nonprofit leaders. Bonilla said her bill would ensure that students, “especially those from underrepresented communities,” are prepared going forward. “It is imperative that the education of all our K-12 students not only meets the demand for computing jobs, but more importantly, that students are being engaged at a young age,” she said. The Bureau of Labor Statistics projects there will be 531,000 openings for new computer and mathematics-related jobs in the United States by 2024, with 51 percent of all science, technology, engineering and math jobs projected to be in computer science-related fields by 2018. Only a quarter of California’s high schools offer any computer science courses, a disparity that also reflects gender and racial gaps, according to Newsom. He cited data showing that only 15 percent of 3,525 high school graduates in 2014 who studied computer science graduates were female. In 2015, of the roughly 8,700 high school students in California who took the AP Computer Science exam, just 26 percent were female, 973 were Hispanic, and 148 were black. As part of his initiative, Obama sought $4 billion over three years for states with plans to expand computer science courses and an additional $100 million for school districts to expand access to a K-12 computer science curriculum to train teachers and to build regional partnership among schools. However, the Republican-controlled Congress has so far declined to fund the program. The new California law sets a timeline to expand computer science education. Bonilla did not say how much the initiative would cost. 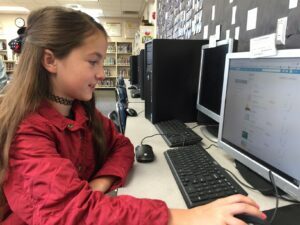 However, a spokesman said that if state or federal funding is not available, the law would allow funding from private or public partnerships and provide grants by the Californians Dedicated to Education Foundation to expand computer science curriculum throughout California. At the same time, several California school districts are moving ahead with introducing a computer science curriculum without waiting for guidance from Sacramento. Los Angeles Unified, Oakland Unified, San Francisco Unified and Riverside Unified, among other school districts, are creating computer science curriculum pathways from elementary to high school, with several collaborating with national groups on securing funding for courses and teacher training. As reported earlier by EdSource, these local efforts are being reinforced by several statewide and national efforts. California, for example, is a lead state in a national coalition being supported by the Association for Computing Machining, Computer Science Teachers Association, Code.org, the National Integrated Cyber Education Research Center and the National Math + Science Initiative.